Managing infrastructure has always brought with it frustration, headaches and wasted time. That’s because IT professionals have to spend their days, nights and weekends dealing with problems that are disruptive to their applications and organization and manually tune their infrastructure. And, the challenges increase as the number of applications and reliance on infrastructure continues to grow. Luckily, there is a better way. 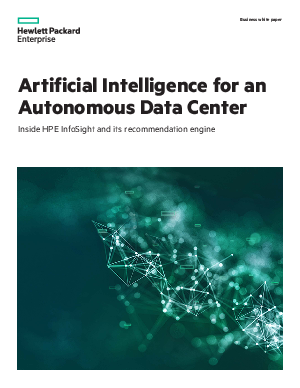 HPE InfoSight is artificial intelligence (AI) that predicts and prevents problems across the infrastructure stack and ensures optimal performance and efficient resource use.